Baseball Shade Is a Home Run! 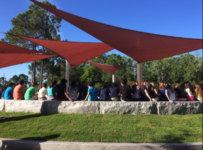 Ball fields are adding shade for their players and fans! 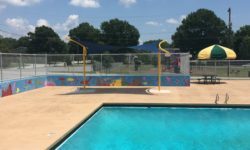 The ballfields sure can heat up and parks are adding shade structures to protect their players and the fans. 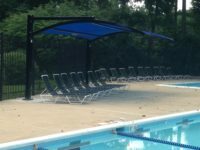 Take a look at some of the shade structures we have installed! The city wanted to update Hornet’s Nest Shelter and looked to Gantt Huberman Architects for help with ideas. 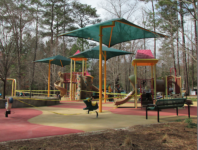 The architect and Carolina Shade Sails teamed together to provide a colorful structure that welcomes visitors to the park. 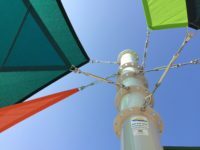 The six column -six sail design is colorful and inviting. 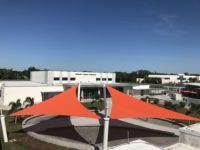 Sarasota High School Adds large Atomic Orange Shade Sails. The large sail is almost 70′ long! 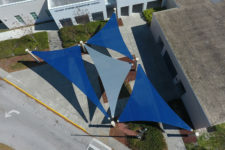 The sail attachment heights are 10′, 14′ and 28′ High and the footings to support this large sails are 16′ square! Schools are adding sun safe areas for students, staff and parents. 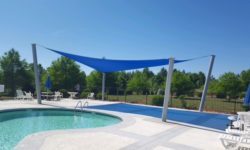 Carolina Shade Sails is installing bleacher shade structures at schools and parks to provide a cool place to cheer on their teams.